Mind is part of the "Vanguard Initiative" a project funded by the European Community. The initiative involves the development of hybrid composite-metal additive manufacturing components. 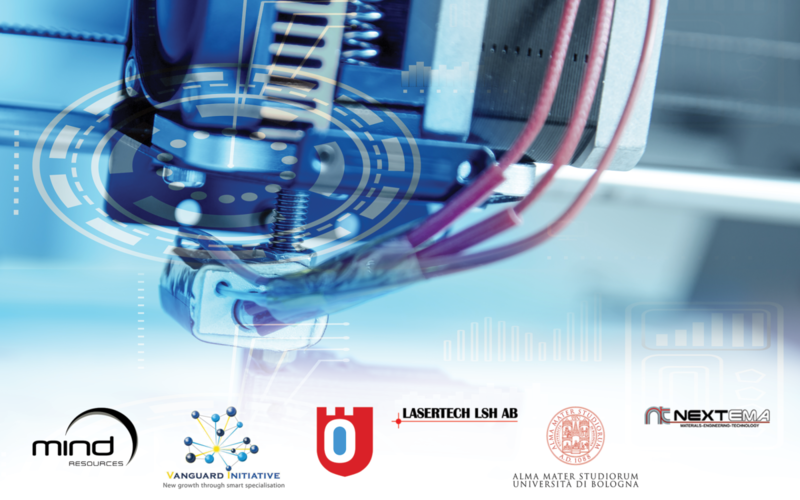 The partners involved are Örebro University, LaserTech, the Bofors Test Center in Sweden, Mind, the University of Bologna and Nextema in Italy. The objective of this collaboration is to develop hybrid carbon- metallic Additive Manufacturing structures. The development of their mechanical properties and the industrialization of this technology has great potential in many sectors, including automotive and aerospace. We are proud to make our know-how in composite and mechanical design available to the project, demonstrating how Emilia-Romagna’s motor valley is a pioneer in engineering. Mind: business made by carbon!